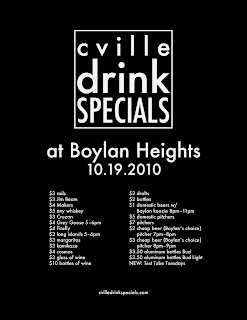 Cville Drink Specials Bar Night is tomorrow (Tuesday)! Here's a concise list of the specials they'll have. 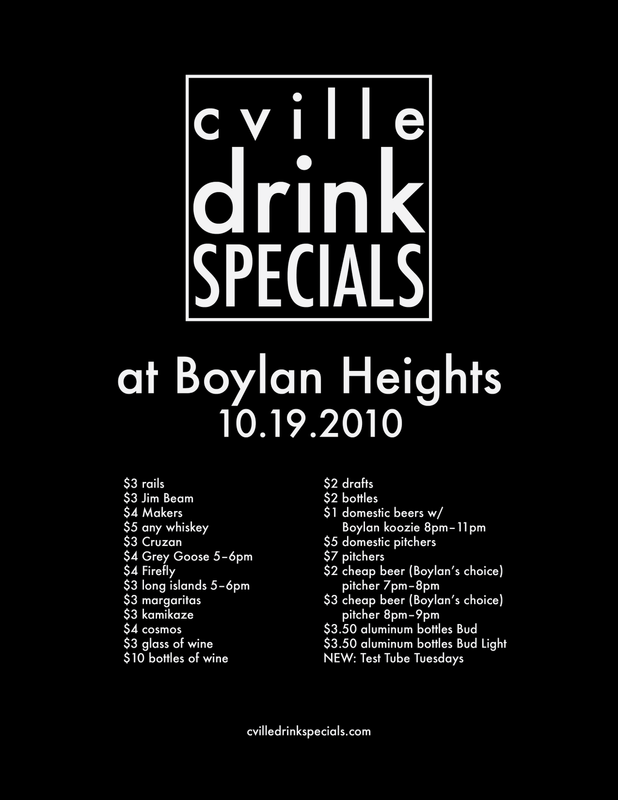 Yes, they'll have all these drink specials all night (except where noted otherwise). Come out, bring friends, ruin your Wednesday.